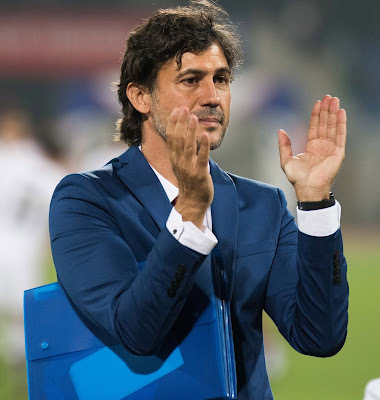 Bengaluru FC have announced that they have parted ways with Assistant Coach Carles Cuadrat by mutual consent after the Spaniard conveyed his decision to step down from the post owing to health concerns. The announcement marks the end of Head Coach Albert Roca's long-standing association with Cuadrat, having coached together at various clubs and national teams before arriving in India. Cuadrat, who gained a reputation of being a master at set-pieces, was flown back for treatment after landing in Pune for an away game with a condition in his knee. Having been away from the field during the Blues' last two home games, the Spaniard had been using the internet to send Roca plans in the build-up to games. The Blues have now appointed Barcelona-native Marc Huguet as the new Assistant Coach, who like Roca and Cuadrat, has also served as a Coach in the FC Barcelona youth setup. Huguet, who recently served as an Assistant Coach with FC Dinamo Tbilisi in Georgian 1st Division, Cordoba CF in La Liga and RCD Mallorca in Segunda Division, will join the Blues in the first week of January.